Food plays an important role in supporting or undermining your emotional and physical health. But when it comes to making nutritious food choices, what works best for one person may not always be the best choice for another—especially at a time when what constitutes good nutrition is often disputed. 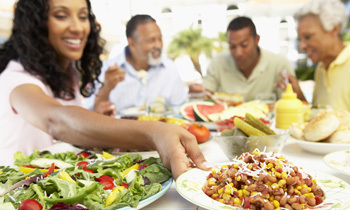 These articles explore how different food choices can impact your health and well-being. Peer pressure and TV commercials for junk food can make getting your kids to eat well an uphill struggle. With these tips, you can instill healthy eating habits without turning mealtimes into a battle zone.